Ex-USS Charles F. Adams, Forrest Sherman and Edson await disposition at Philadelphia Naval Business Center, April 2012. The news, I'm sorry to report to you who do not know, is that Dave--who was Destroyer History Foundation-- died of lung cancer with a terrible swiftness this spring. For his last week, he lay by the glass sliders to this deck on our home along Lake George. Hospice, a commander, a conductor, and many caring and clever friends and family visited us and stayed and made his dignified departure viable. We live in a village: I asked two people to help me rearrange the living room furniture, and seven showed up. Two gorgeous blondes made him a ramp so there would be wheel-chair access to our home. He sailed on the 4th of July, wearing pajamas and his lightweight Arleigh Burke shirt (the red one), quietly slipping his moorings as though the knot just came untied. Dave had more than one magnificent obsession in his life, but none surpassed this one. Thank you so much to so many in the destroyer history community who brought such joy and sense of accomplishment to his life. For practical matters: the site will stay available for three years on memorial donations already in hand, and after that, I'm sure grace will provide. All the substantial costs are sunk, and it is a light burden for me to keep the site available. The Fletcher engineering drawings can be purchased through Tin Can Sailors, still $30. When using Dave's research elsewhere, please acknowledge "courtesy Dave McComb, destroyerhistory.org". Even photos that originated with public archives required Dave's travel, waiting, scanning, cropping and enhancing to be postable. One man pulled all these sources together: Dave. He could tell where the approaching fifty-five other International Tempest sailboats would be on the line seven minutes from now, so it shouldn't have surprised me, his acumen for history. Let's keep his name remembered. Be well, all. 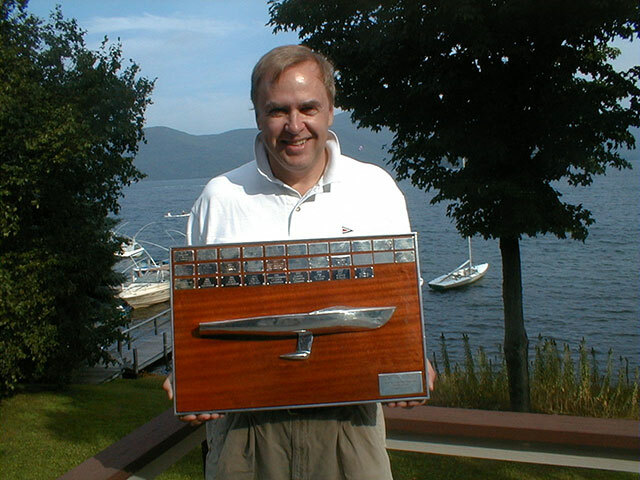 Dave's obit may be viewed and comments left at http://www.sbfuneralhome.com/obituaries/David-Mccomb/. NEWS: Future Destroyers Likely to Fire Lasers, Rail Guns. Destroyer Squadrons 60, 61, 62, 63, 64 and 66 — the Allen M. Sumner-class squadrons that went to war in 1944 and 1945. Mine Squadron 3 — the twelve Robert H. Smith-class destroyer-minelayers, eight of which were decorated for action at Okinawa. Destroyer Squadron 10 — the twelve Gearing-class destroyers deployed in 1945. 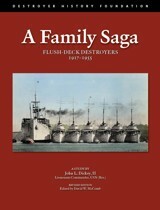 NEW BOOK: A Family Saga: Flush-Deck Destroyers, 1917–1955, revised edition of a study by the late John L. Dickey, II. Available from Amazon. NEW ONLINE COLLECTION: The George Albert Converse papers and photographs, 1861–1897, Mss 68, DeGolyer Library, SMU, Dallas, Texas — source of much of the material about early destroyers posted on this site. Click on the logo on any page to return to the home page. Double click anywhere on a page to return to the top. Search on this site works well. Try it! THE CONVERSE BOARD OF 1904, which recommended types and qualities of future torpedo vessels and their machinery: origin of the board and text of the report. THE DESTROYER—OUR NAVAL WEAKNESS — Implications for preparedness in 1910.